DJI's new Multilink offers the possibility to control the images of DJI's professional drone Inspire 2 via multiple controllers and display their images live - Multilink works together with the Inspire 2 remote control and the DJI Cendence controller. The multi-link box is used to set up a kind of mini network between a master controller that maintains the control connection to the drone and up to three slave controllers up to 150m away, all of which are supplied directly with the live images from the camera and can also send control commands to the Inspire 2 via the master. The dual-band operating frequency of 2.4 GHz or 5.8 GHz is used to connect MAster and slave controllers. The low latency between the master controller and slave controllers of only 2.5 ms (5.8G) and 3.7 ms (2.4G), respectively, enables reliable live transmission of the drone's camera to other monitors. 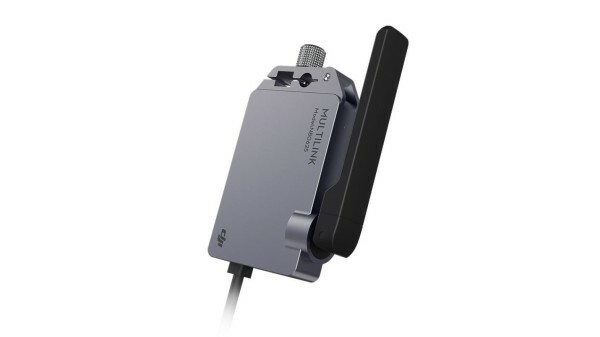 A DJI Multilink costs 99 Euro, as bundle with 3 pieces it is somewhat cheaper and costs 282 Euro. DJI's compatibility information is somewhat contradictory, however - once it is stated that Multilink is only compatible with the Cendence remote control, but then the IOnspire 2 remote control is also listed as compatible.